A gentle cleanser that never strips your strands, and actually doubles the life of your haircolor's vibrancy and longevity. It's a breakthrough that helps preserve color and protect against future damage...all at the same time. I will definitely buy it again. Its made my hair so smooth and I think repaired my colored hair to a high extend. Directions: Shampoo, rinse, and repeat if desired. 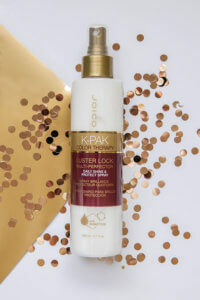 Follow up with K-PAK Color Therapy Conditioner. 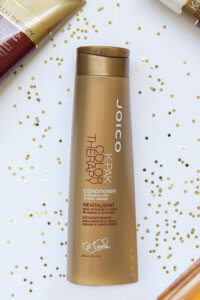 Attaches to the damaged sites of the hair, repelling external moisture that robs hair of color. Nourish and seal hair’s outer protective layer to lock in and boost color vibrancy. This is the Best Shampoo 🧴 with sulfates Ever for Color Treated Hair. It’s also a great body wash for $16.50 American @ Cosmoprof you can’t go wrong. 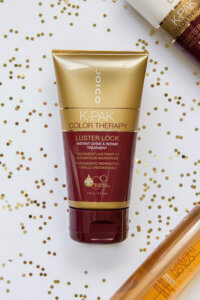 It’s amazing I love it I just wish Joico would come out with a Shampoo 🧴 and Conditioner line to help regrow hair. And make my hair longer. I need Joico to come out with more new amazing colors and something so moisturizing it can make my frizzy curly white girl hair straight. Please and thank you I live in San Jose California and I absolutely love your shampoo products. And please come out with Stronger Creme Bleaches like one that LIFTS to PLATINUM BLONDE IN ONE process. It smells like a Mexican Prostitute.. if that’s your look by all means go for it girl we only only live once.